These easy Peanut Butter and Chocolate Crescent Rolls have only three ingredients and take just minutes to prepare – so you and your family can enjoy a tasty crescent roll dessert in no time at all, perfect for dessert, breakfast, brunch or a snack! 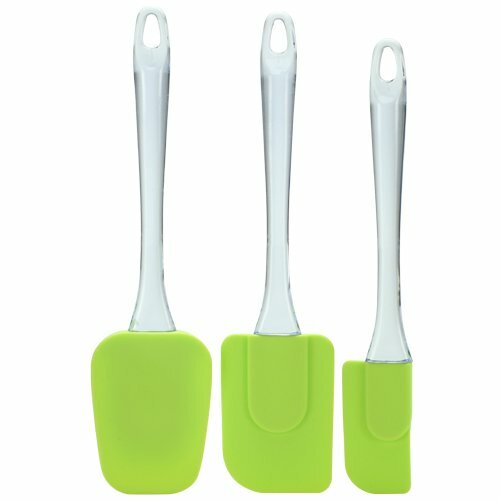 Sometimes you need to make something for dessert quickly. Maybe you have unexpected guests for dinner, or just a hungry family with a craving for chocolate. But there are times when I will stand in the kitchen staring at into my refrigerator or my pantry thinking, “There must be something here I can make for dessert!” These chocolate crescent rolls are ideal for that kind of situation, because they take only three ingredients that you probably already have in the house. I like to keep crescent rolls on hand to serve with a quick dinner. Having rolls along with dinner can make the whole thing seem more exciting, especially when I am serving something quick and simple like Italian Tortellini Soup or Mexican Rice. 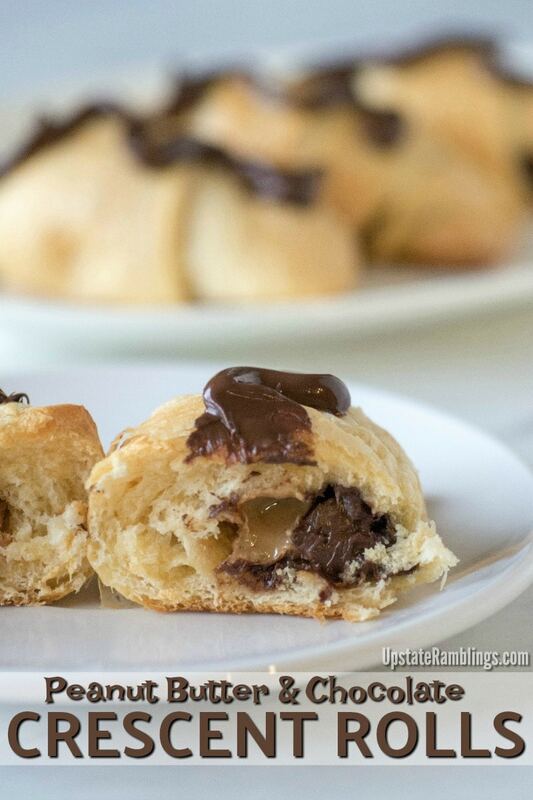 But crescent rolls also make a great base for a quick dessert. You can roll up slices of peaches or apples inside them, or stuff them with Nutella. 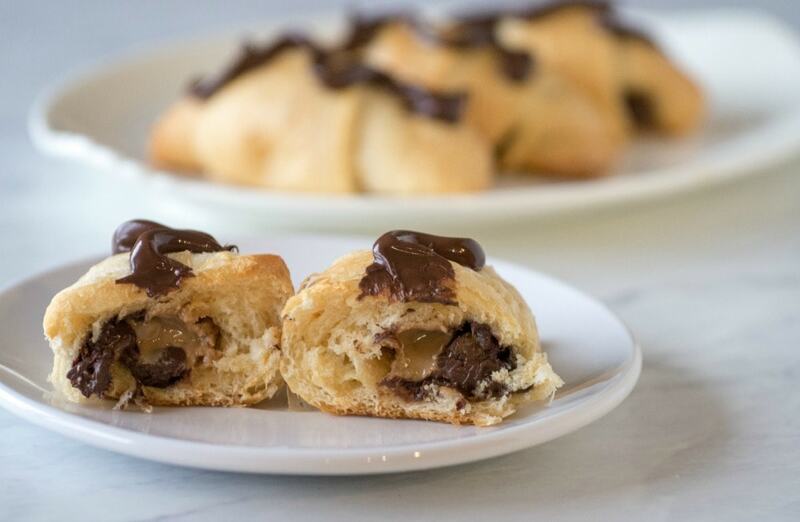 But this is my favorite way to create a crescent roll dessert because it combines peanut butter and chocolate – which is always a winning combination. Let’s face it there is reason that Reese’s Peanut Butter Cups always top the list of the best Halloween candy! 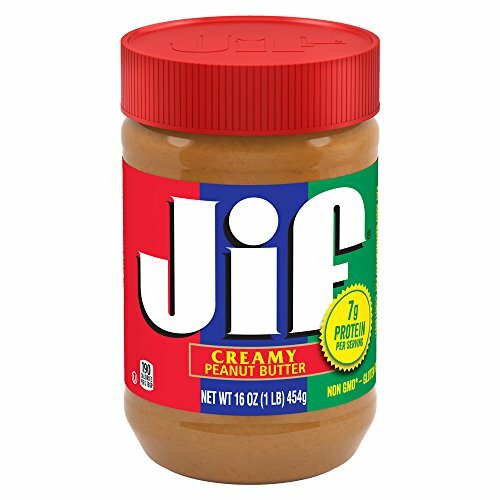 There is just something about the combination of creamy peanut butter with rich chocolate that is irresistible to almost everyone. These rolls couldn’t get much easier to make. 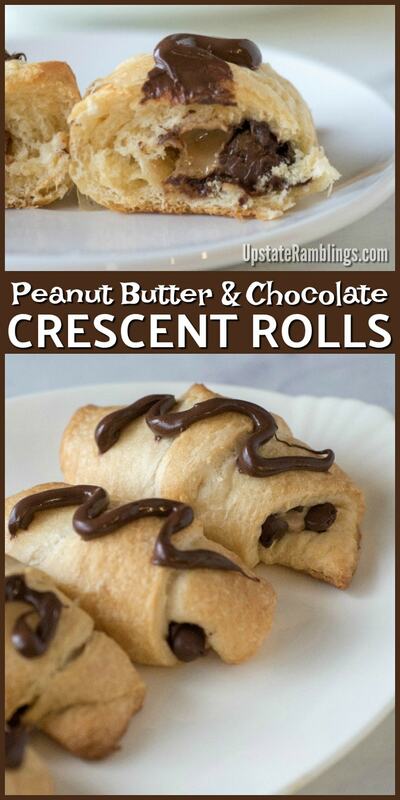 The only three ingredients are refrigerated crescent rolls, peanut butter and chocolate chips. 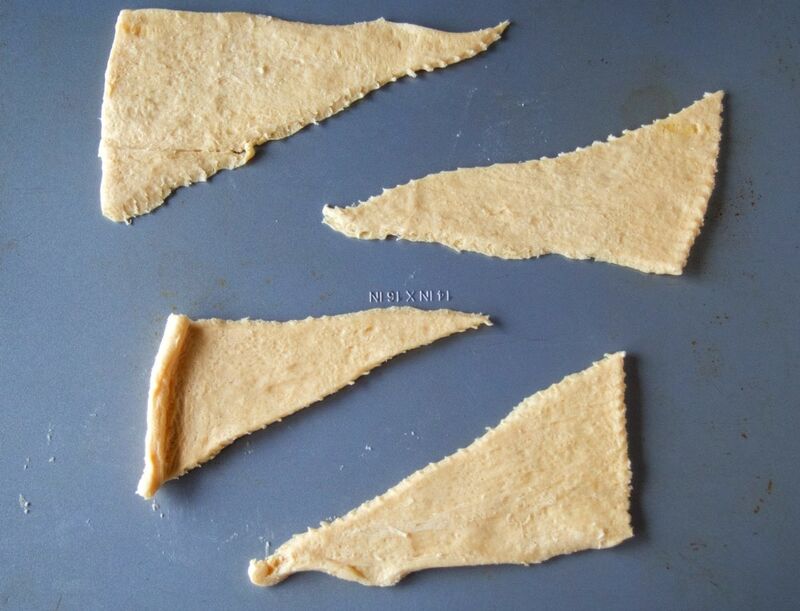 All you do is unroll the crescent dough and separate it into 8 triangles. Then dab a blob of creamy peanut butter on the large end of each triangle, and sprinkle about a Tablespoon of chocolate chips into the peanut butter. Roll up the crescents and bake them as directed on the package. 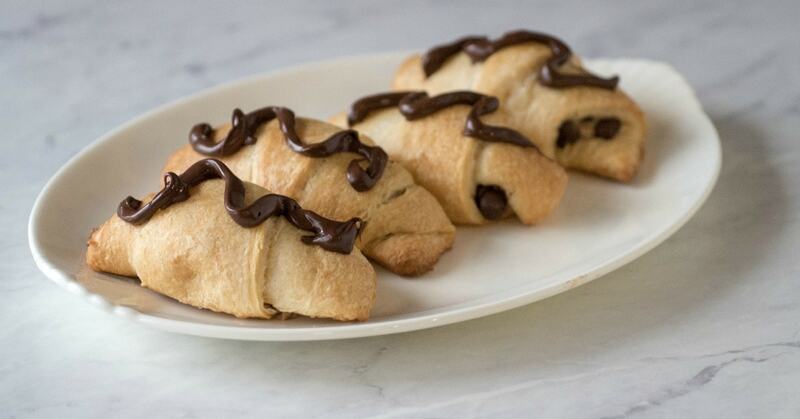 You could stop there, but I like to top off the stuffed crescent rolls with a little bit more chocolate. 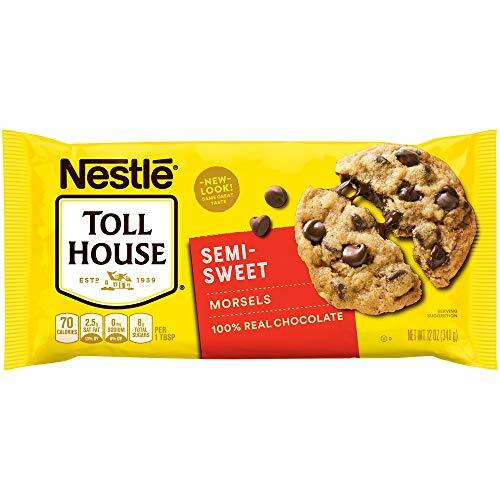 To do that I microwave some chocolate chips in a zippered baggie for about 30 seconds at a time until they are nicely melted. 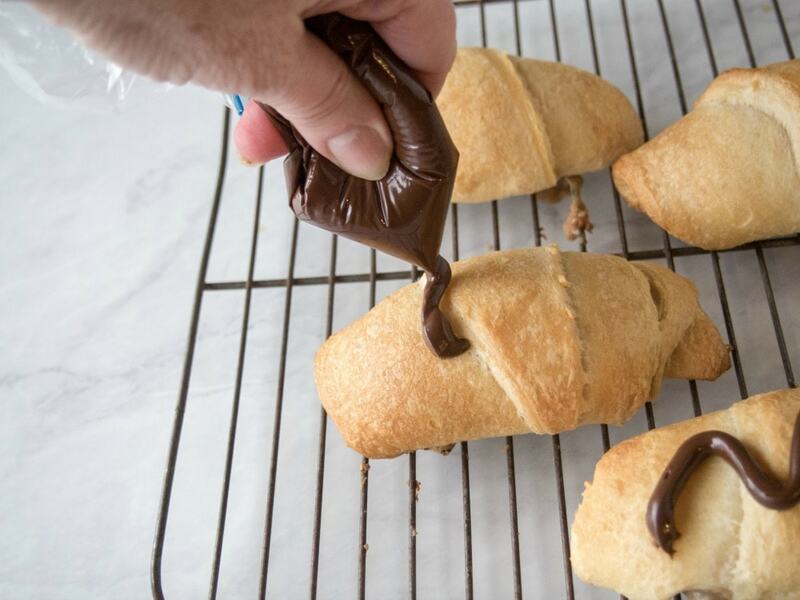 Then I snip off a corner of the bag and squeeze some chocolate on top of the crescent rolls. The resulting dessert is both soft and flaky, filled with gooey peanut butter and warm chocolate inside. They taste best still warm from the oven, but I’ve been known to eat them the next day for breakfast if there are any left over! 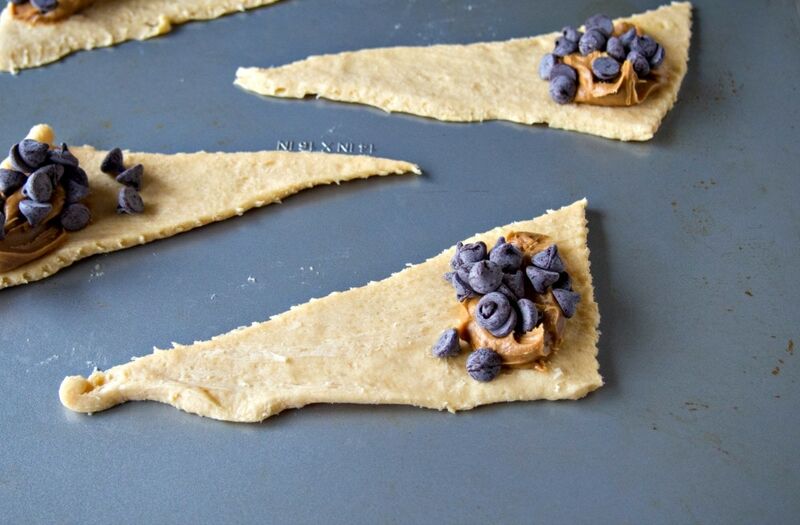 Open the tube of crescent rolls and lay them out on a cookie sheet. Put 1 T of peanut butter on each roll at the larger end and spread out slightly. Top each blob of peanut butter with about 1 T of chocolate chips (you will have chocolate chips left over, save them for the top of the rolls. Roll up the crescent rolls. Bake for 10-12 minutes until brown. Microwave the remaining chocolate chips in a sealed baggie for 30 seconds at a time, until the chocolate is melted. 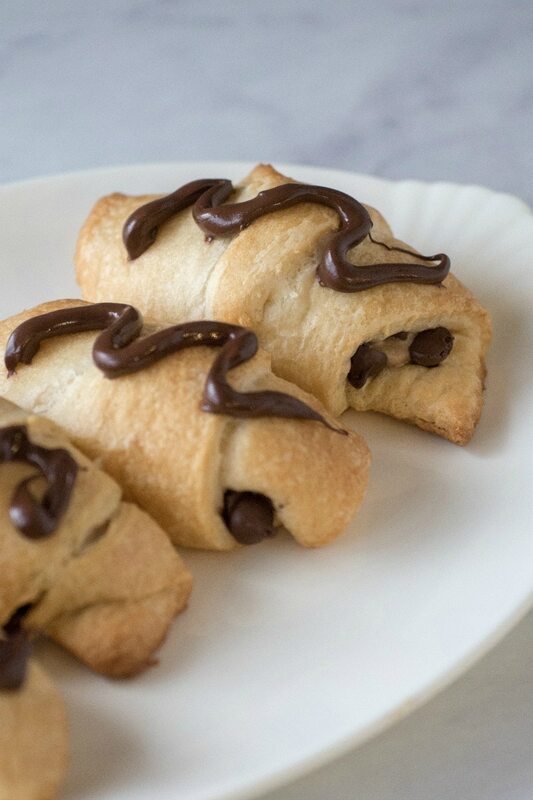 Then cut off one of the corners and squeeze chocolate over the crescent rolls. 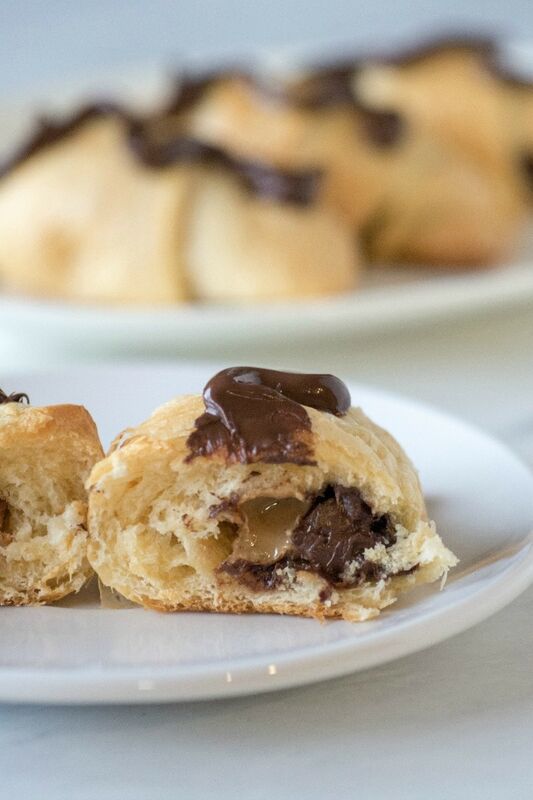 These can be a little messy, because the peanut butter and chocolate will probably leak out of at least one of the rolls as they bake. 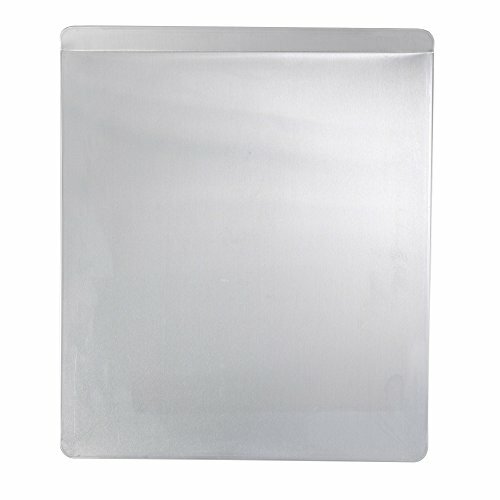 So you might want to use parchment paper on the cookie sheets. 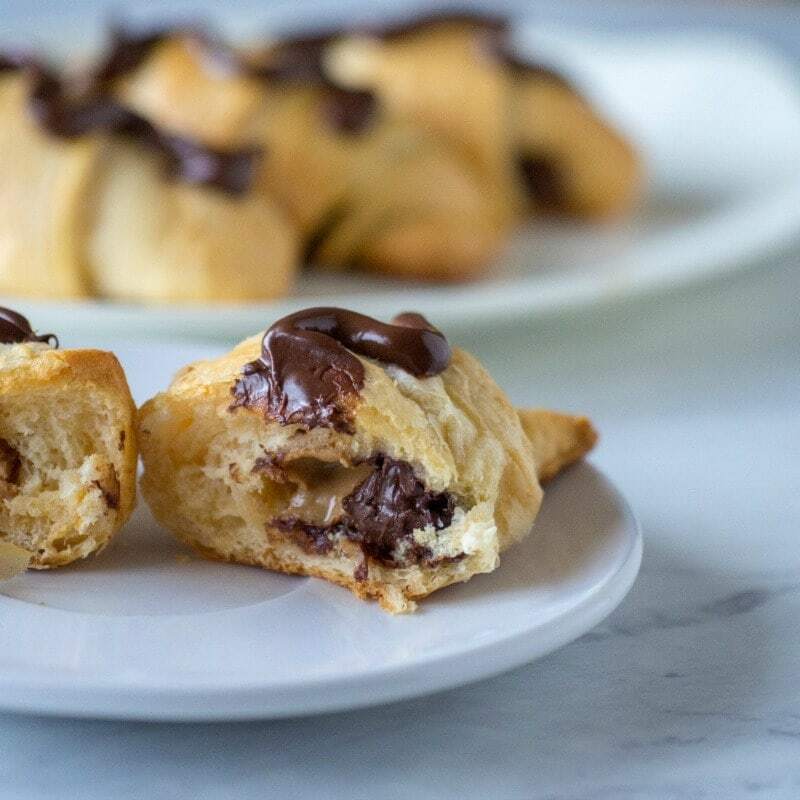 Sprinkling these Peanut Butter and Chocolate Crescent Rolls with chopped peanuts is a great addition to the dessert, but I was out of peanuts when I made these!